For more in-depth discussions, there is a discord-server available. TATW is a mod, that allows you to use RF with your IC2 machines and EU with your RF machines. Just use the cables you want with the machines you want and it'll work. If the mod crashes on startup, make sure you run the LATEST version of AromaCore with it. any chance on this working with IC2 Classic? IC2 Classic is a lot more stable IMO. I currently have a personal modpack with over 250 mods. IC2 and Advanced solar panels crashes, IC2 Classic does not. I was not aware of this mod until today (somebody filed a crash with Immersive Engineering that malte0811 said is more likely related to this mod). 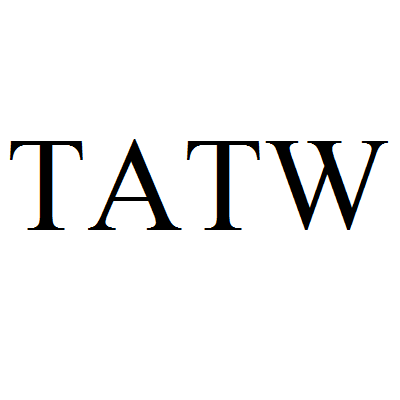 I'm curious: is "TATW" short for something? If so, what? It is short for something. Originally it worked with tesla instead of RF, so it's an acronym for Tesla all the way. The tesla version never got published, but I didn't bother to rename it. Very cool premise, but unfortunately the mod crashes whenever you hook rf pipes of any kind up to IC2 machines, or vice-versa! I thought this was due to AromaCore conflicting with foamfix, but after removing foamfix, the crash was reproduced. It is possible that the new Minecraft language naming system (see Forge version 14.23.4.2751) causes this, but I am not sure. Please fix this, and make sure it (and AromaCore) is compatible with foamfix, as most modpacks rely on that mod heavily! First of all: I'm 99.99% certain all of my stuff is compatible with foamfix, so foamfix being present is most likely not the problem. It's possible that the problem is the new language namespace causes this crash, but as long as I do not have a log file, I can't investigate the issue. If the problem still persists with the newest forge version, could you please open a ticket on the bugtracker including the crashlog and a log file? Certainly! I will do that later tonight when I get a chance, and open a ticket if it persists. is it possible to have an Adv Solar Panels mod integration? Adv Solarpanels should work with this. If they don't please open a ticket on the issue tracker. Will it be ok if I include this in my modpack? I'll provide a link back to this page, and credit yourself as the mod author. Everything forze but me when i put the Mek or TD's wire with IC2 machine.Ender IO didn't,why? The problem still here,I don't know. Crashed game at mining biome. 2 hours of normal play, then went to mining biome. First killed in the portal, then went and crash the game. This should already be fixed in the latest version. It only works with Ender io! Does not work with buildcraft and thermal expansion. For me, it also works with TE. Can you send me a log file and tell me which versions you are using? I didn't quite understand your description. Could you please repeat what exactly is not working?